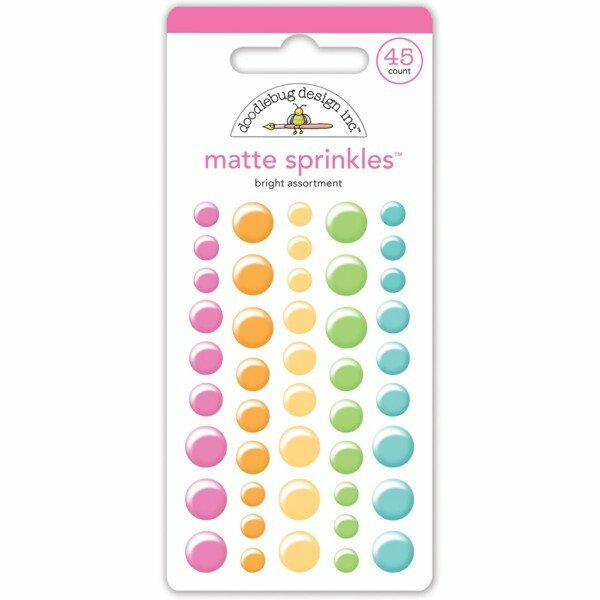 Sprinkles by Doodlebug. Contains forty-five or fifty-four enamel stickers in three different sizes on one 3-3/4 x 2-1/2 inch backing sheet. Comes in a variety of colors. Each sold separately.